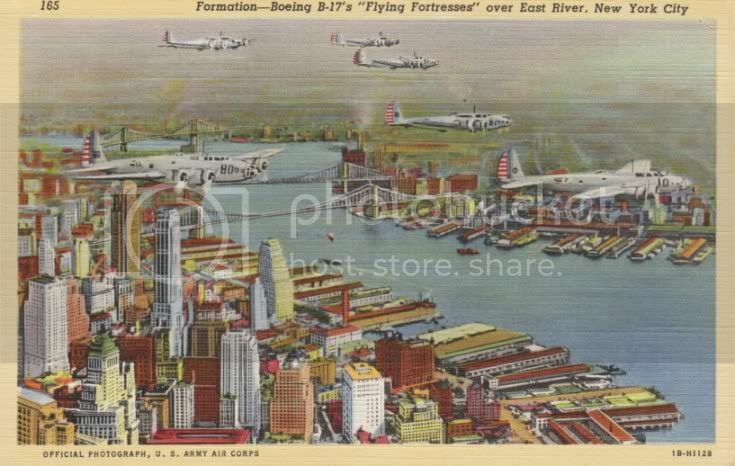 Official US Army Air Corps photo on a 1941 postcard showing a formation of B-17 "Flying Fortresses" over the East River and Manhattan in New York City. 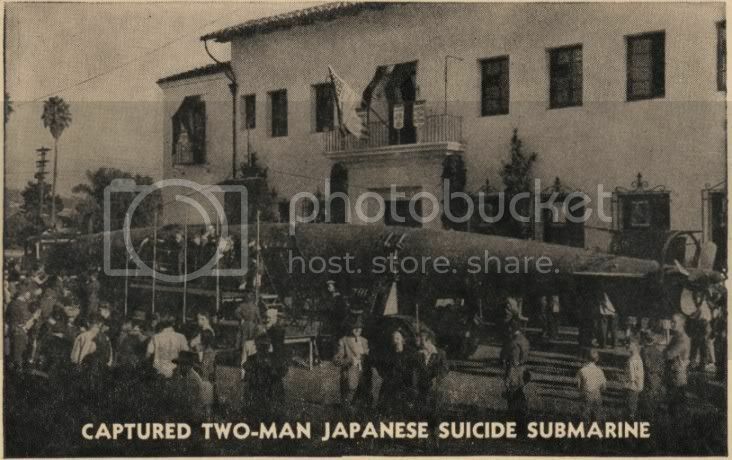 A captured 2-man Japaneses submarine was put on display in the US to help boost morale in the early part of the war. Humorous postcard depicting the life of a plane spotter--on the roof with a case of beer and binoculars watching women sun-bathe and get dressed. Another humorous postcard from the homefront in WWII. This comes from a soldier stationed at Rapid City Army Airforce Base and was sent to a woman in Mansfield Ohio in late May, 1944. 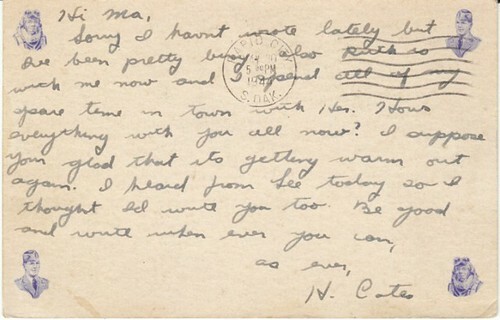 The message says that "Ruth is with me now" so visits from loved ones was quite possible for those stationed in the US. The cartoon on the front refers to soldiers' constant wish for a letter from home.